What happens if you’re hurt in a pedestrian accident in D.C.? Did you know that if someone else is to blame for the accident, you may be able to pursue an injury claim? 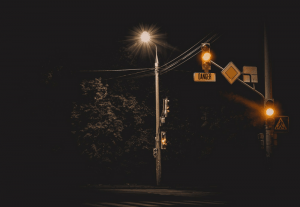 Many people are not sure how to proceed even when they know that their life has been drastically changed by a serious D.C. pedestrian accident. When you’re injured as you’re just trying to get to work or running an errand, drivers have a duty of care to pedestrians. If it’s breached and you’re injured, you may have a legal claim. Pedestrians across D.C. confront a number of different obstacles as they walk around the city, including construction and high volumes of traffic. However, recent studies have identified the most dangerous intersections for D.C. pedestrians. Between 2009 and 2015, according to information collected by the district’s Department of Transportation, nearly 5,300 pedestrians were hit by cars. These collisions occurred throughout the city, but some intersections were involved in more pedestrian accidents than others. The most dangerous intersections for pedestrians over the course of the analysis of seven years of data was the intersection of Minnesota Avenue and Benning Road. Ten collisions occurred there during the time of the study, leading to 14 different injuries. Other dangerous intersections for D.C. pedestrians included Southern Avenue and South View Drive, 12th Street and Pennsylvania Avenue Northwest, 14th and U streets, and Georgia Avenue and Kennedy Street. If you or someone you know has been involved in a serious pedestrian accident, you may need to speak to an experienced personal injury attorney as soon as possible. Fifteen of the top 25 most dangerous intersections for pedestrians throughout D.C. were located within two blocks of a Metro station. Make sure to take extra care when entering or exiting a Metro station as this could help to protect your interests if you need to file a pedestrian accident claim. Do not hesitate to find the right attorney to assist you with your claim. Remember that injuries sustained by a D.C. pedestrian may be severe, and it’s important to ensure the at-fault party is held liable for their actions.